A Sears department is seen in Hackensack, New Jersey. Eddie Lampert is struggling to convince bankers for Sears Holdings Corp. that his bid to keep the retailer alive is adequate. But he’ll have a little more time to try. 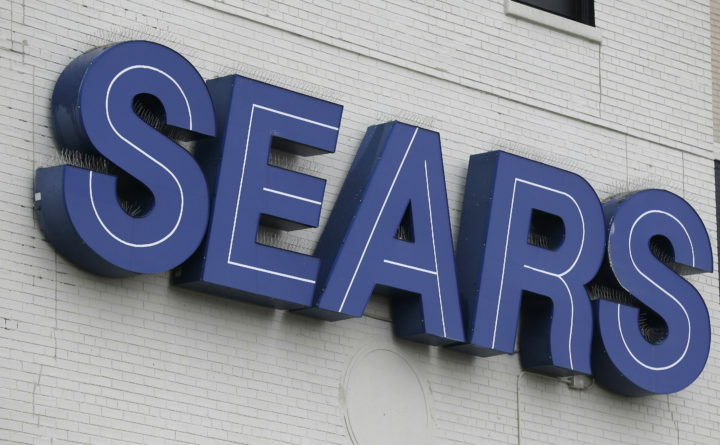 The hedge-fund manager came up short Friday in meeting Sears’ conditions for what it considers a qualified bid to rescue the department-store chain from bankruptcy, according to people with knowledge of the discussions. The company is giving Lampert’s ESL Investments additional time to address its concerns, one of the people said. A hearing has been set for Tuesday to brief Judge Robert Drain, who’s presiding over the bankruptcy. The outcome will determine whether the 125-year-old retailer survives as a going concern or is sold off in pieces. Lampert, Sears’s chairman and biggest shareholder, kept Sears alive for more than a decade via lifelines and financial engineering. And he has sought to firm up his latest rescue plan ever since the company filed for Chapter 11 protection in October. But as bankers at Lazard – along with creditors and other parties – met in New York to assess the merits of the $4.4 billion bid on Friday, it fell short on a number of fronts, the people said. A spokesman for ESL declined to comment, as did a representative for Lazard, which is advising Sears. CNBC reported earlier that ESL’s bid was facing scrutiny from Sears advisers. Gaps remained in some of the financing behind the plan. And the bid wouldn’t have provided enough cash to cover costs incurred in the bankruptcy, the people said. It also undervalued inventory and other assets relative to what liquidators were promising to pay, the people said. Another key sticking point: much of Lampert’s bid rested on him getting ownership of the reorganized business in exchange for the forgiveness of $1.3 billion of debt he holds. But the validity of those claims – racked up in a series of spinoffs and other insider dealings – has been challenged by a group of creditors. The bankers are concerned that the claims could leave the company exposed to future liabilities, the people said. Drain had said he would require ESL to provide a cash pledge that would backstop the credit piece of its bid. But the proposal didn’t include that. Lampert, whose plan would save up to 50,000 jobs, has been trying to shape the debate by emphasizing the potential for massive job losses. The consequences aren’t lost on some lenders, who are wary of being blamed for the collapse of a big, iconic employer the way their peers were in last year’s dismantling of Toys “R” Us Inc.
“Our going-concern bid provides the best path forward for the company, the best option to save tens of thousands of jobs and is superior for all of Sears’ stakeholders to the alternative of a complete liquidation,” ESL said in an emailed statement this week. If Sears snubs ESL, it would shift its attention to other bids to liquidate the business. Two groups submitted offers to do just that – one from Tiger Capital Group LLC and Great American Group LLC, and another from Gordon Brothers Retail Partners LLC and a unit of Hilco Global, people with knowledge of the bids said. A Great American representative confirmed its joint bid and declined to elaborate on the details. Sears and Gordon Brothers declined to comment, while Tiger Capital and Hilco had no immediate comment. Sears was supposed to tell prospective bidders whether they’ve been selected as qualified bidders by 4 p.m. Friday, but the bankrupt retailer can still work with any bidder to “cure any deficiencies” in a bid that is not initially qualified up an auction that’s been set for Jan. 14.